This post is also linked to Gluten-Free Wednesday. Hydration. 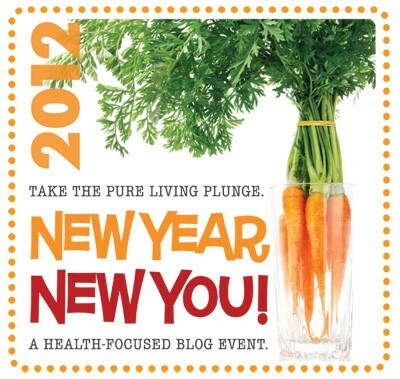 Yes, that’s the topic of the final week of Hallie’s (Daily Bites) New Year, New You! event, which she has co-hosted with Lexie (Lexie’s Kitchen) this month. I hope you’ve been following along each week. A bevy of fantastic bloggers have provided some truly terrific posts—all designed to help each of you transition to the best new you that you can be! We’re all right there with you, too. The previous topics were Eat More Produce, Snack Smart, Swap Your Sweeteners, and today’s topic Stay Hydrated—all factors we need to consider when trying to “revamp” ourselves or simply make sure we stay on the right track. When Hallie asked me a while back if I’d join the event and write on this topic, I couldn’t have been more thrilled. This topic of hydration is one that was made for me. Oh, wait, I should tell you that this is going to be a long post .. even by my standards. You might want to grab some water or a cup of tea before you start reading. In other words, hydrate while you read about hydrating! And interestingly enough, since I agreed to share my thoughts on hydration, all kinds of information on the importance of hydration and hydration “tools” have been magically appearing via a multitude of sources! I’ll share several today, but first let me tell you about my first thoughts when I agreed to post on hydration. I flashed back to the movie Signs and a comment that Son had made to me at the time. Do you remember that particular M. Night Shyamalyn movie from several years back (2002 to be exact)? 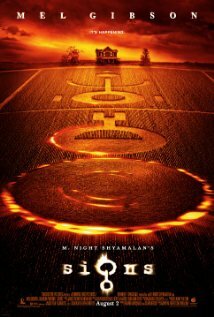 The Hess family—played by Mel Gibson, Joaquin Phoenix, Rory Culkin, and Abigail Breslin—has mysterious crop circles appear in its farm’s fields. Then crop signs start appearing elsewhere in the world, one after another. Animals, including the family’s own dog, start behaving very oddly. As the story progresses, there are many more signs and they all point to something very frightening … aliens. What does this all have to do with hydration? In the movie, the daughter Bo, played by Abigail Breslin, has unfinished glasses of water everywhere, which somewhat perplexes the other members of her family. In fact, she has an outright fixation on water. Ironically, at the climax of the movie, it’s that very water, gathered from all those half-empty glasses, that allows the family to destroy the aliens. Far-fetched? Yes, but most movies are, aren’t they? Hearing that line or even thinking of it makes me laugh every time. But hey, water is important! Here’s the trailer for the movie below, which includes that scene and much more, and still gets my heart pounding! Watch it if you love scary stuff and/or need an adrenaline rush! Or here’s the short clip below that sharing Bo’s famous “water quote.” (FYI–The latter is not scary if you’re a “chicken” like me.) It also includes a bit more dialogue between “Bo” and her father (Mel Gibson), which makes me chuckle a bit more. She also talks about “contamination,” which I’ll address later (and for once this contamination has nothing to do with gluten). But wait, there’s more. As we were leaving the movie theater from seeing Signs years ago, Son commented that I was like the girl in the movie. Surprisingly, I didn’t immediately get what he meant. He said, “Mom, you have glasses of water everywhere.” Wow. He was right. And guess what? That’s still true now. I have water on the end table beside me. I have water on my nightstand. I have water on the counter where I take my supplements. At work, I have a water bottle. In the car, I have a water bottle. It’s not just containers for water, I often have a mug of half-finished tea to be drunk, both at home and at work. I like having liquid refreshments readily available. Having the right ones on hand is a major requirement if one wants to stay hydrated properly. But I gather up my glasses and mugs at the end of each day because otherwise they get “contaminated,” or as Bo said in the movie, “it tastes old.” Art imitates life, or life imitates art? But I digress. The temperature of the beverage usually doesn’t matter to me. Tea usually starts out hot but if I get distracted and my tea is room temperature when I come back to it, that’s fine, too. Or maybe I add a few ice cubes and make it iced tea at that point. Sometimes I have three different beverages going, a trio of beverages on coasters in a line. And while I’m flexible on the temperature of my beverages, when it comes to the containers themselves? Not so much. Even before everyone was made aware of Bisphenol A (BPA) concerns, I have always detested drinking out of plastic containers. BPA-free or not, I’m not a fan of plastic. Ideally, I want true glasses or ceramic mugs to house my liquids. The beverages taste better, especially the water. While my house has water vessels everywhere, I like to have a full bottle of water with me for travel, when it’s possible (airports excluded of course). My current water bottle is one that I won from a giveaway over at Alison’s Sure Living site. It’s a Lifefactory bottle. Alison’s husband works for Lifefactory and she gave away several at once. Lifefactory bottles definitely meet my standards! The bottle itself is glass, the attractive outer covering and tops are plastic, but BPA-free plastic. Oh, you don’t need me to tell you about it. Head over to Hallie’s hydration post and read and see for yourself. She’s giving away a gorgeous aqua blue Lifefactory bottle today! Another big concern I have with water is not just the container I store it in, but what’s actually in the water when it comes out of the faucet. Contamination concerns. Or what I’m told is “safe” is not safe in my eyes. Those concerns hold true for my water at home, too. Even though we’re in a rural area, we’re also in a subdivision and have public water. I am not fond of it. At all. The water gets tested periodically and we get reports from the VA State Health Department. I’m pretty sure that the timing of our water smelling like chlorine correlates with the state’s testing schedule. Chlorine will evaporate out of water (as Kim mentioned in her terrific post on Making Water Kefir), but there’s much more I’m concerned about. We religiously use a Pur pitcher water filtration system, which admittedly makes a big difference in taste and smell, and while I know that it effectively removes much that is undesirable, there’s still a lot left in our water that I don’t want in my body. Luckily, there seems to be a far, far better solution on the market. Katie at Kitchen Stewardship just did a review of the Berkey water filter. When I shared this post on my gfe Facebook page, one of my support group member’s seconded Katie’s endorsement. This baby is nothing to sneeze at cost wise or size wise. But one can tuck it away in the corner and I can certainly make a place for it in my home to keep us and my support group members drinking the purest water possible. As far as the costs, carrying a water bottle and avoiding buying bottled water would “finance” a Berkey system pretty quickly. Now I’ve talked a lot about water and my own obsessions and methods of storing it, how I like to drink it, etc., but how much do we actually need to drink each day? Comments from medical personnel in response to a recent study in The Journal of Nutrition stated that “For most healthy people, six to eight glasses of 8 ounces of water a day is what we recommend.” The doctor went on to say that “The effects of even mild dehydration are likely to be even more pronounced in high-risk groups, such as the elderly and young children.” I’ve also seen direction on using your body weight as a guide, dividing that number by two and drinking that many ounces of water each day. So if you weigh 150 pounds, drink about 75 ounces of water daily. Now some of you are thinking “hey, wait a minute, I heard TV Dr. X say that was a myth.” Yes, I’ve heard it, too, but I don’t believe it and here’s why. Immediately after some television doctors tell you that no, you really don’t need that much water, you can get your fluids from other sources,” they go on to say, “like sodas and sports drinks, or from the foods you eat.” Well, to me and many others, that totally discounts what they are saying. Sodas and sports drinks are not necessarily good sources of hydration. First of all, sodas usually come with high amounts of caffeine. Even if they are caffeine free, there are high amounts of sugar or artificial sweeteners (which are far worse in my opinion and that of many others) and they often are heavy on artificial coloring and food dyes. And while we do get hydration from the foods we eat, unless you are eating ample amounts of fruits and vegetables, you are not getting much. Think about typical Standard American Diet meals; there’s really not much in the way of hydration. Clearly, sodas, sports drinks, and most meals are not good choices for hydration, so those statements on the amount of hydration needed being a myth get discounted in my opinion when you consider those details. The “takeaway” from the study I mentioned was the following: “In a new study of 25 healthy women, mild dehydration dampened moods, increased fatigue, and led to headaches.” Mr. GFE and Son have both definitely noted that I must have my my water and other beverages to be a really nice, happy person. Maybe that’s why they don’t mind my water containers everywhere. You can see a high-level summary of the study titled, “Even Mild Dehydration May Cause Emotional, Physical Problems” here on Medscape. (Note: You may have to register to see the article; registration is free.) The article also mentions that a similar study was conducted on men some time ago and the results were pretty much the same. Even mild dehydration affects us adversely. The article also reiterated other points that I’ve also heard discounted, namely that thirst indicates dehydration and that urine color can act as an alert for your hydration level. “You are often already dehydrated once you become thirsty, but subtle cues like a headache and/or fatigue can be your body’s way of telling you to drink more water, Armstrong says.” Knowing the signs of dehydration can also keep you out of the danger zone. Another sign is dark urine. “Your urine should be a light yellow color,” states Dr. Robert Glatter, an emergency medicine physician. There are a few exceptions stated in the article (individuals with congestive heart failure and others with certain kinds of kidney disease may want to limit their fluid intake and should consult with their doctors on how much they should drink), but most of us do not fit into those categories. Although our skin does not usually come to mind when we think of our body’s organs, it’s our largest organ. Many beauties when asked how they keep their skin so beautiful will tell you that they are fastidious about getting enough water. That’s another statement that gets shot down by the myth-buster tv doctors, but you may have noticed when looking at your own face in the mirror, that it looks healthier (and happier!) and is more likely to glow when your body receives adequate and nourishing hydration. Dr. Christine Doherty, who so graciously shared her Super Juice recipe with us here on gfe, says that she often is told that her skin glows. If you take a look at her photo on her bio page for her healthcare practice, Balance Point Natural Medicine, I think you’ll agree. And who wouldn’t want to hear that? I’ve actually had an allergist personally tell me that many of his patients’ seasonal allergies and sinus issues would be greatly improved or even alleviated if they consumed adequate amounts of water, as well as other healthy, non-caffeinated, sugar-free, artificial sweetener-free beverages. And when we share our detox tips and recipes for blog events and e-books like our Eat Fresh and D-Tox Your Life, those are exactly the liquids (and recipes made from them) that come into play. As I was thinking about writing this post I was thinking about water and other beverages, plus fruits and vegetables that contribute to hydration … the juicy apple, the refreshing cucumber, and more. But I was largely focused on whole foods. Then I posted a photo of my “Pantry” Black Bean, Corn, and Salsa Soup on my gfe Facebook page. One pregnant reader, Jennifer, instantly replied that she had been suffering with morning sickness and was relying on soups for her hydration; she asked me to share my recipe as soon as possible. I was very sorry to hear that she was suffering so, but at the same time I was so grateful that she’d found a strategy to stay hydrated and that she offered that reminder to all my readers. I hadn’t thought of hydration from soups for this post, but simple, healthy broths and soups are certainly a great way to get hydrated. When I’ve been very ill in the past, often that mug of chicken or even vegetable broth hydrates me and gives me just enough nourishment to be able to rest well and heal better. Some people say that they forget to drink their water or to hydrate with other good beverages or sources of liquid. That is obviously never true of me from my beverage fixation. I only don’t get my liquids in when I have no access to them. However, if you have an issue with forgetting, one tip I’ve read that makes sense is to drink a glass of water, etc. on the hour. 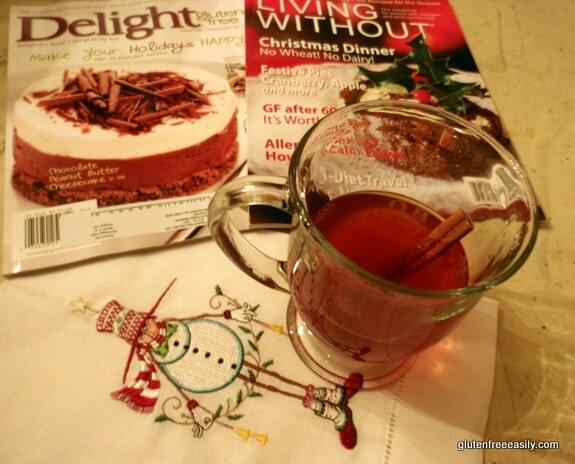 If the clock strikes 8 o’clock, 9 o’clock, etc., it’s time to have another glass or mug! 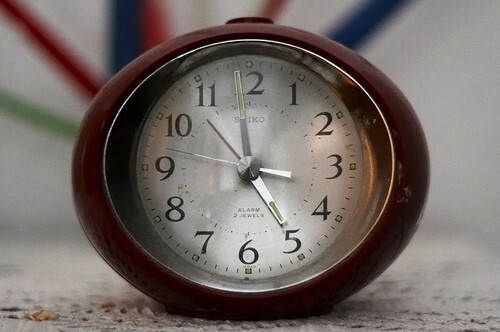 If you’re not tuned into the time that keenly, set the alarm on your cell phone. Now while others have been sharing some great recipes to keep you hydrated for this event, I am not. Instead I’m going to share with you two discoveries this year that revolutionized even my already fairly diligent “drinking habits” First, was Zoe’s (Z’s Cup of Tea) post on cucumber water. No more complicated than it sounds … it’s a non-recipe if you will. Slice cucumbers and leave them in a pitcher of filtered water in your refrigerator for several hours (preferably overnight). 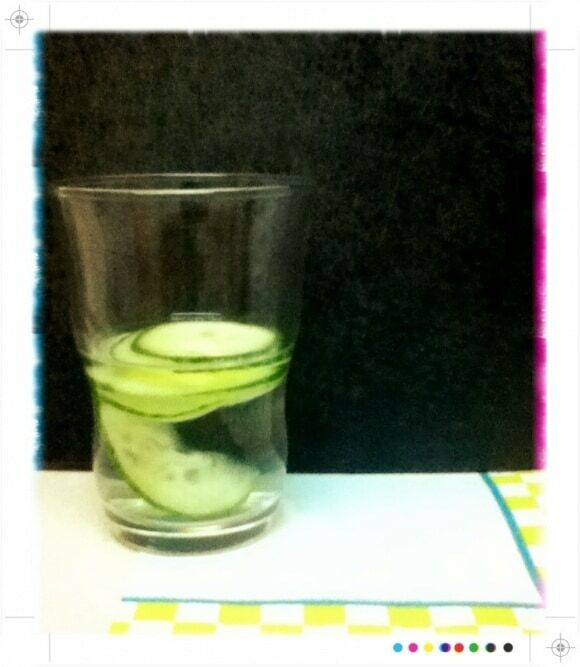 It is impossible to convey how refreshing and hydrating cucumber water is! It is heavenly. I am not exaggerating. Do try it. I filled a massive pitcher with cucumber water for my support group during the dog days of August and it was gone in minutes. I added more cucumber slices and water to the pitcher right on the spot and even though that didn’t produce optimum cucumber water, that pitcher, too, disappeared over time. (This happened while there were several other great beverages like decaffeinated tea available, too, and that even included some sweet tea made with coconut sugar!) While cucumber water is optimum during the hot months, I wouldn’t rule it out this time of year either. If you enjoy cold drinks of any kind during the winter months, then you’re still likely to enjoy some cucumber water now, especially if you have cucumbers available. If you have a nice English seedless cucumber left over from your salad fixings (I do, I do! ), you might want to just make a glass or small jar of cucumber water and see what you think. Hydration is the goal, and this option is so much better than adding one of those flavor pack thingies to your bottled water. Last, I adore tea. Decaffeinated tea is my very favorite, so that can count as part of my water for the day, right? Well, maybe. Again, despite those statements from numerous health “gurus” that all beverages count as part of one’s “water” for the day, in general, I think not. Allow me to explain. The truth is I typically drink my tea with some sweetener and to reiterate what I stated earlier I don’t think that a serving of sweetened tea merits the same “value” for hydration as a serving of water. The sweetener provides a, uh, complication in my mind. Likewise, caffeinated beverages are a complication in my opinion. Caffeine actually has dehydrating effects. I will drink caffeinated tea upon occasion (if that’s the only option), but I much prefer decaffeinated. You see in addition to the fact that caffeine is dehydrating … caffeine and I are not friends … we pass by each other and smile when chocolate is involved, but that’s the extent of our friendship. (When I was trying to figure out the source of my gastrointestinal issues before I was diagnosed as gluten intolerant, I actually looked to caffeine as the source of my problems. It was not, but I do better without it.) But here’s the best news of all, finally, after decades of trying and trying to enjoy tea without sweetener, I have found one that I totally enjoy “black” and it’s all thanks to my dear friend Kim (Cook IT Allergy Free)! 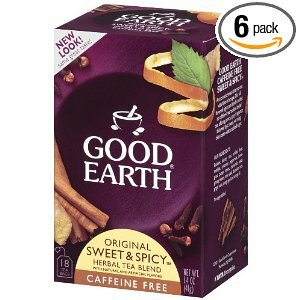 When a few of us blogging buddies got together back in October, Kim brought along some Good Earth Sweet and Spicy Tea, the decaffeinated version. One cup of this stuff and I was hooked! If one lets the tea steep for a good while, NO sweetener is needed at all. This tea is beyond wonderful. I absolutely love it—either hot or cold. The ingredients? Red rooibos, chicory root, rosehips, cinnamon, lemongrass, peppermint, papaya, chamomile, panax ginseng leaves, anise seed, dandelion root, ginger root, orange oil and orange peel. It contains no sugar, artificial flavors, colors or preservatives. While there are clearly no ingredients that contain gluten, I have found no information that shows this tea is certified gluten free. I’ve seen it advertised on other sites as “free of gluten ingredients,” but we all know that is not a guarantee of gluten-free status. However, many of my gluten-free friends have been enjoying it with no issues, even more of them since I made an iced tea version for our last meeting. That disappeared as quickly as the cucumber water did, and there were only a dozen of us present. But please do your own research and make your own best judgment. Whatever healthy liquid refreshment you choose, go forth and hydrate! You can even grab a glass or a mug and check out the other posts for today—Lexie’s Cherry Lime Chia Fresca and Brittany’s Sugar-Free Ginger Ale, as well as Hallie’s Soothing Fennel Tea and her Lifefactory giveaway. You convinced me. I need to go get a drink! I would have been the first comment but I had to go get a drink of water first! Lots to think about here, I will go back and read it again. I got some comments about my gluten free brownie post from people I have never heard of before! Saw your post, but haven’t gotten a chance to comment yet. Gluten-free brownies tend to bring folks out of the woodwork! Seriously. 🙂 Love all the things you’ve saved and pointed out in your post. That Beatrix Potter calendar? LOVE. Oh, and we (the whole family) LOVES that movie, “Signs”! As always, Kay, you are too, too sweet! Thank you, dear! Well, I think you are biased on the water bottles since you are in fact a woman! I could see Son’s point after he stated it. I love those bottles though. I just need the sipper top for mine. Shirley, this is just one of those WOW posts. First off, I have water glasses EVERYWHERE too. But unlike your family, it drives Kurt nuts. LOL And I also hate to drink out of plastic. I buy glass and stainless water bottles in bulk and I only drink out of plastic for plane and car trips and when there is nothing else available. Oh, I have been wanting a Berkey water purifier for a while but they are quite pricey so I have not pulled the trigger on it yet. And, lastly, I still enjoy my Sweet and Spicy tea just about every evening. It is my little treat after the boys are in bed and the house is somewhat quiet. LOL, Kim. It seems that a lot of us water glass folks are revealing ourselves here! 😉 I like the idea of the stainless water bottles, too, BUT I have this habit of using any of these bottles for my green smoothie en route to work and I’ve seen with the glass ones that sometimes I miss residue in cleaning. So I’m sticking with the easy to see and clean glass water bottles. Yes, the Berkey is quite pricey and I haven’t order one yet, but when I think of what else I sometimes foolishly spend money on and when our tap water smells of chlorine, the Berkey starts looking really good! Thanks for all the sweet words! Still a bit under the weather, but will manage to dine and dance at the Smithsonian Museum of American History for the post holiday party tonight. I’m really looking forward to that with hubby (who hasn’t returned since he was a kid)! I’m with everyone else regarding the “wow” factor here. This is quite the thorough post on hydration! I’m also one of those people who has glasses of water all over my house — and glass bottles of water rolling around the floor of my car (I’m not a fan of plastic either and not only because of BPA). I have several of these wonderful tall glass bottles for yoga and I end up with them everywhere in my car (under the seats, on the seats, in the cup holder, etc.). Well, I can always find a drink if need be! Being well-hydrated is definitely important and you’ve certainly documented why! Isn’t that funny about how refreshing cucumber water is? I haven’t made it in a while, but reading how you described it totally brought me back to that scene in The Other Guys that I referenced in my post. Since you’re so passionate about hydration, Shirley, I think you would really like a book called “Your Body’s Many Cries for Water” by Dr. Fereydoon Batamanghelidj. He argues that most of mankind’s illnesses are caused by dehydration and they can be cured by drinking enough water. He came to studying this while he was an imprisoned doctor in Iran and cured an inmate of ulcer pain by simply giving him water (he himself had only been drinking water as the food was contaminated). It’s a very powerful read and even if one doesn’t agree with everything he writes, it does leave an impression on how much bigger a role water plays in our health than we assume. Hey Zoe–I’ll be curious to see if folks who don’t like cucumbers will like it. There is a bit of a taste of cucumber for sure, but it’s more about the refreshing factor than the cucumber taste. That movie scene was hysterical! Thanks for setting me straight on half-full vs half-empty! LOL But I was trying to emphasize the empty part, as in how can you kill an alien with half-empty glasses of water? 😉 I stand corrected though! LOL on the Signs movie. I get it though! I wonder how many other folks couldn’t resist watching the trailer and were newly freaked and/or have since ordered Signs off Netflix … hehe. Maybe they’ll come back and tell us their thoughts. I had to laugh aloud when I read parts of this post, especially the part about having several glasses of water going at any one time, in various parts of the house. I do the same thing! Lately, my new hydration obsession is a riff on yours – cucumber and lemons steeped overnight in a pitcher of water. Can’t get enough of it. What a hugely informative post! Thank you Shirley. I read through it two times, just to make sure I didn’t miss anything. You are a water fountain (good pun, don’t you think?!?) of information! Your comment made me laugh! fountain of info! 😉 I have water and tea by the bed. I am showing this post to my family so they will see that I am NOT the only one! Thanks for making me smile. Awesome post here. WOW! What a great read. It’s nice to have someone write so passionately about (clean and safe) water consumption. As someone with a digestive disease, I can appreciate and understand the importance of staying hydrated. I take my glass water bottle with me everywhere – I have to! Staying hydrated isn’t a fade, it’s a crucial element of health for everyone, and you hit a home run with this one here Shirley. Thanks for this great post! Hi Amber–Thank you for your lovely feedback and thank you for sharing why safe water is so important to you and us all! I think we tend to take our water for granted and we really need to look at it much more closely. On the surface, we have a gift compared to so many countries where getting fresh wate every day is a major part of one’s life, but on the other hand we can’t take a “safe” rating for water at face value. I admit, I’m horrible at hydrating – to an extreme if I’m honest. But you’ve convinced me of its importance, and given ways to make it actually appealing. Not sure if I’ll get it down as pat as you have, but it’s going to be a good go. Wonderful post. Off to find a good water bottle, starting with your suggestions. Hi Freeof …–It would be wonderful if this post inspired you to hydrate more. There is no wrong or right way. Just have it available and drink at least hourly during waking hours. I think that you’ll start seeing the positive effects and eventually won’t need reminders. 😉 Best of luck on choosing a water bottle, too.Thanks so much for the feedback! On another note, when I just did a search in my comments to see if you were new to gfe, I found that you were not … you had commented long ago on my Crustless Pumpkin Pie post. I couldn’t see where I had replied to you though. 🙁 It looked like I had missed your comment among all the other comments that I replied to. I’m so sorry. Flax eggs do work in the pumpkin pie recipe per some of my readers. I hope you saw that info shared and haven’t been going pumpkin pie less all this time! Thank you! And for the info on the crustless pumpkin pie 🙂 I’ll definitely be giving it a try – I’ve got some frozen pumpkin in my freezer that I need to use, and this would be a great way to do it. Hi again FreeOf …–You’re welcome. Fingers crossed that the substitution will work just as well for you as others. 😉 Everyone deserves pumpkin pie! You pack more information per square foot than anyone I know! I’ve been thinking about one of those cool glass water bottles to carry around. I used to have one with no outside covering and dropped it. I also like that Berkey system. I’m looking into that one. I have a little pitcher and it takes forever to add water to a pot to cook with. 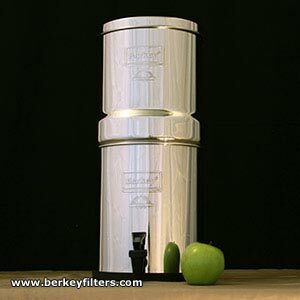 The Berkey system seems amazing. If you read Katie’s post, you saw where even after adding food coloring, the water comes out crystal clear. She did say that it takes a while to fill up a pot of water, but I’m betting it’s less time than with using the pitchers that you and I use. Good it was meant as a compliment. You seem to find so much more info out there and share it. Thank you! The cucumber water is a wonderful idea! I have been looking for ways to get my husband to drink more water. He doesn’t like the taste of plain water and about the only thing he would drink is vitamin water which is expensive and not very good for you (too much sugar). When I saw the cucumber water I knew that was it. He loves cucumbers and is really enjoying them this way. Thanks for the great idea! Hi Theresa!–It looks like you are new here–welcome to gfe! 🙂 Your comment made my day–thank you, and I’m so glad your husband is now enjoying cucumber water! I never thought of it as a way to bridge the gap between a water hater and a cucumber lover. 😉 I will now think of it as homemade flavored, vitamin water. It wasn’t my original idea as I shared in my post, but it’s one I enjoyed so much that I’m happy to promote the concept! Thanks so much for taking the time to comment, Theresa.